Hi Bob, the town name you're thinking of is Rouleau, but it's not a semi ghost town... Still very much alive. 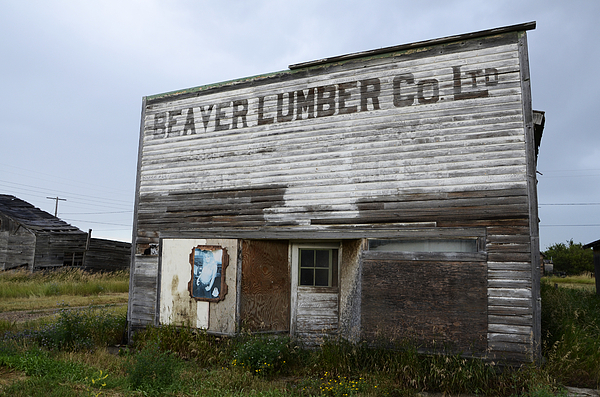 But the beaver lumber picture is also not from there, it's from Robsart, which is very much a semi ghost town. I was there today and took a picture myself. All the details match up. Crazy little place there, it appears only two houses are inhabited anymore plus one or two farms on the outskirts. Population was 16 as of 2006 but I suspect it's less now. Very cool! 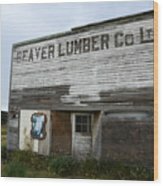 I worked at Beaver in Edmonton! 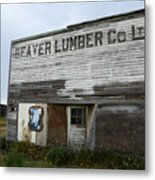 Where was this taken? 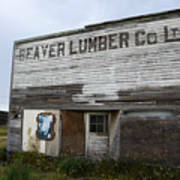 An image showing the Beaver Lumber Company logo in Robsart, Canada.